You wake up in the middle of the night and pick up your phone to quickly glance at the time...and you spend the next 30 minutes glued to it. We’ve all been there. Sure, you enabled Do Not Disturb so that your notifications come in silently, but now the display's bright light and the lock screen’s string of notifications are practically begging you to take action. That’s where the new Bedtime Mode comes in. 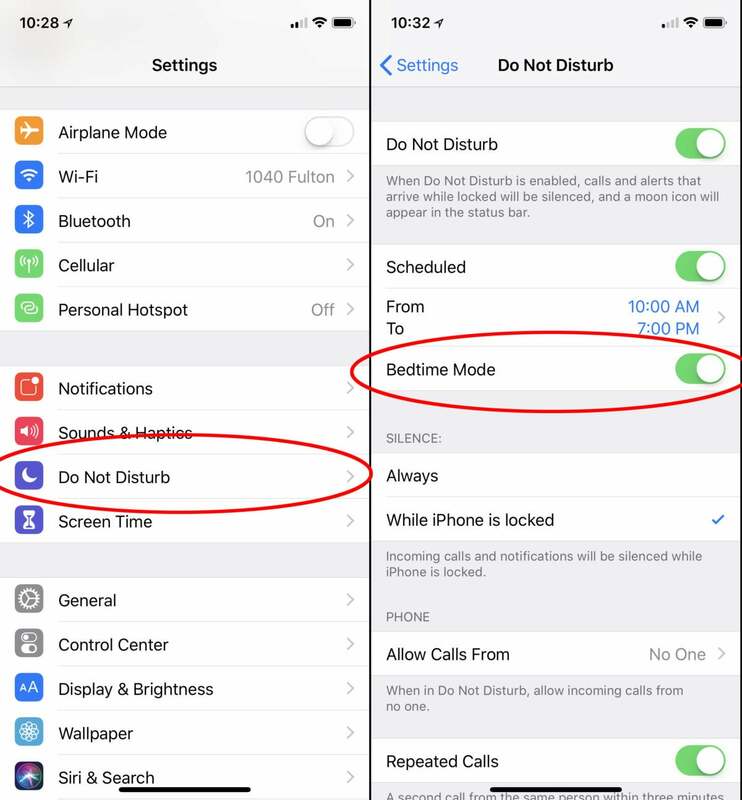 No to be confused with the Bedtime function of the Clock app (introduced in iOS 10), Bedtime Mode is iOS 12’s new optional enhancement to Do Not Disturb. Here’s how it works and how to enable it. If you set a scheduled Do Not Disturb time (as many of us do during our normal sleeping hours), you’ll have the option to toggle Bedtime Mode for those hours. Regular Do Not Disturb mode silences calls and notifications. When it’s active, sounds and vibrations won’t wake you up (or disturb your dinner companion, or make noise in the movie theater), but they’ll still appear on the lock screen. Regular Do Not Disturb looks like the left screen, while Bedtime Mode makes it look like the right. 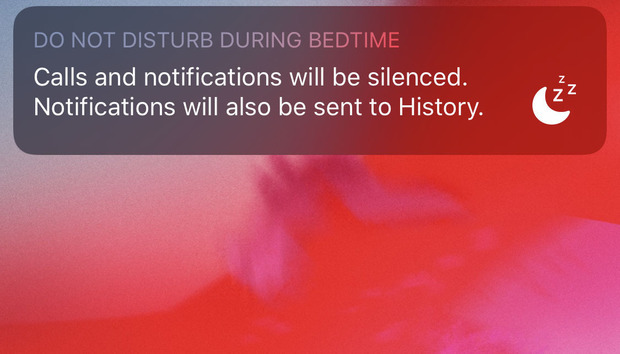 Bedtime Mode adds two new behaviors to Do Not Disturb. First, it dims the display considerably, so if you pick up your phone in a dark room—to check the time, for example—it won’t blind you with bright light. 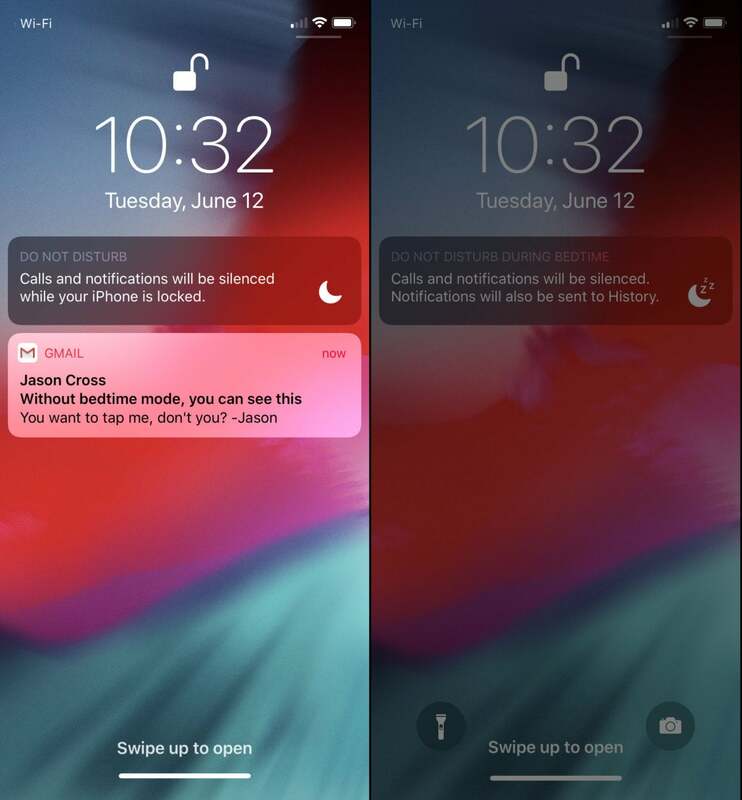 Second, it sends incoming notifications straight to the notification history, skipping the lock screen entirely. When you unlock your phone, the screen will return to normal brightness, and all the notifications you got while in Do Not Disturb will be just a swipe away. Setting Bedtime Mode is easy; you just need to remember that it’s an optional enhancement to a regularly scheduled Do Not Disturb time. 1. Open Settings, and tap on Do Not Disturb. 2. If you haven’t set a schedule for Do Not Disturb, do so. 3. When a schedule is set, you’ll see a new toggle in iOS 12 called Bedtime Mode. Just turn that on. Enabling Bedtime Mode is easy. It’s an optional toggle underneath your scheduled Do Not Disturb time. Now, when your scheduled Do Not Disturb time is active, your phone will consider it to be “bedtime” and will act in the way described above.